This is just a simple hannukah menorah circuit made out of an MSP430G2231 microcontroller. 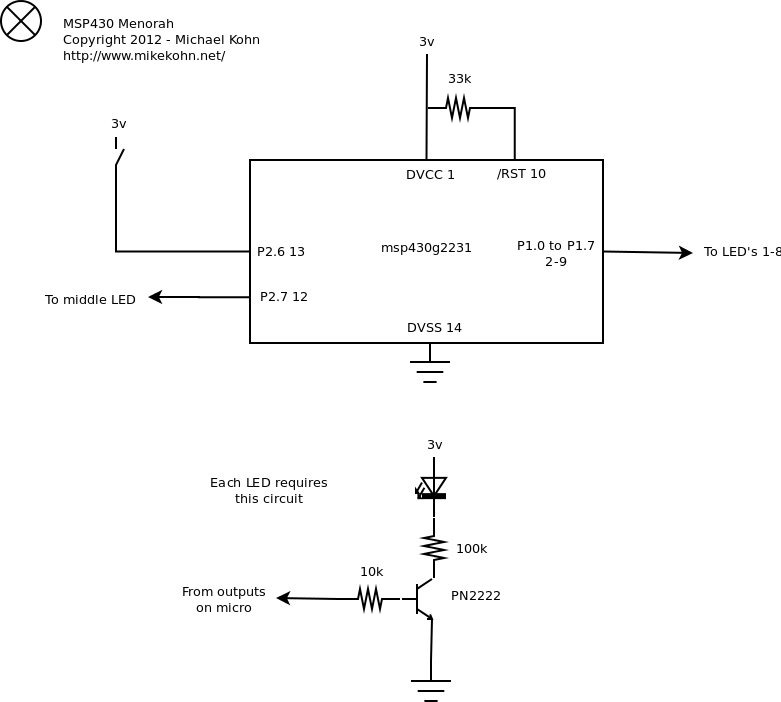 The firmware that controls the LED's flicker them so they appear to glow brighter and dimmer. A single push-button is used to select the day. The circuit runs on 3.3v (in my case 2 AA batteries). I'm tempted to leave it running for 8 days to see if by some miracle the 2 AA's will last that long (my calculations tell me not even close) :). The source code I included below assembles with naken_asm. 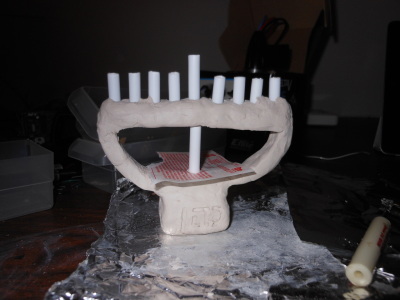 Here's a picture of clay menorah drying. To hold the LED's I used some plastic tubing. 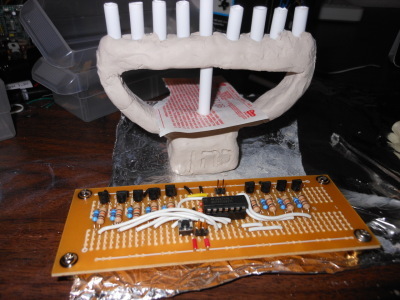 Inside the menorah I used some extra tubing (and pat of a losing lottery ticket) to hold it up while it was drying. At the base of the menorah I signed my name in the clay. Here's a picture of the circuit board. 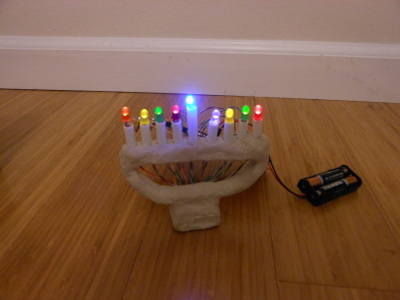 The final product lit up like the 8th day.